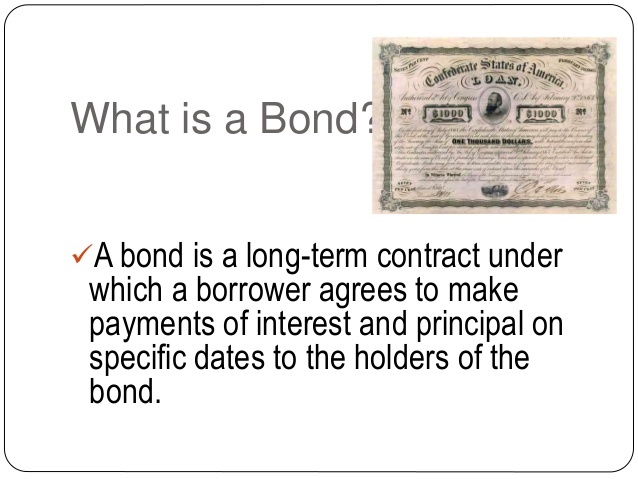 A bond is a debt instrument in which an investor loans money to an entity (typically corporate or government) which borrows the funds for a defined period of time at a variable or fixed interest rate. Bonds are used by companies, municipalities, states and sovereign governments to raise money to finance a variety of projects and activities. Owners of bonds are debt holders, or creditors, of the issuer. 2. What is a Government Security (G-Sec)? A Government Security (G-Sec) is a tradeable instrument issued by the Central Government or the State Governments. It acknowledges the Government’s debt obligation. Such securities are short term (usually called treasury bills, with original maturities of less than one year) or long term (usually called Government bonds or dated securities with original maturity of one year or more). In India, the Central Government issues both, treasury bills and bonds or dated securities while the State Governments issue only bonds or dated securities, which are called the State Development Loans (SDLs). G-Secs carry practically no risk of default and, hence, are called risk-free gilt-edged instruments. 1.4 In 2010, Government of India, in consultation with RBI introduced a new short-term instrument, known as Cash Management Bills (CMBs), to meet the temporary mismatches in the cash flow of the Government of India. The CMBs have the generic character of T-bills but are issued for maturities less than 91 days.